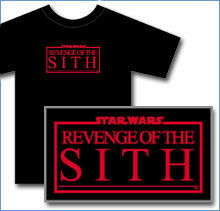 The first-ever Star Wars: Episode III product! Buy Now!! Three stars from the original Star Wars movies are featured in this exclusive VHS set from BIOGRAPHY. Take a look at the lives and careers of the biggest science fiction movie franchise in history. Carrie Fisher: Princess with a Pen: The troubled life of the actress who gained fame playing Princess Leia in "Star Wars" but who battled emotional problems and drugs, then wrote about her life in a frank series of best-selling books. Harrison Ford: From underachiever to silver screen superstar, BIOGRAPHY traces the journey of one of America's best-loved actors in this feature-length special. Mark Hamill: Behind-the-scenes footage of the "Star Wars" trilogy highlights this profile of the actor who gained screen immortality by playing Luke Skywalker.